I had the great pleasure today to meet Xu Bing, a towering figure in the early history of Chinese contemporary art. We were in Shenzhen for the opening of Textual Logic, an exhibition of works by Xu Bing and calligraphers Wang Dongling and Qiu Zhenzhong at the OCT Contemporary Art Terminal. 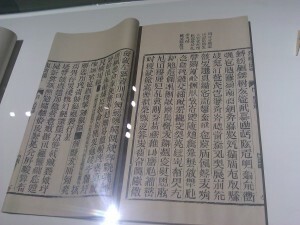 Xu Bing rose to fame in 1998 with the release of A Book from Heaven, an artwork that was monumental on many levels. It was a massive tome printed with old-school movable type dies. The book’s accordion-folded pages stretched from floor to ceiling several times over in the exhibition hall at Beijing’s Central Academy of Fine Arts. The walls were also covered with massive spreads from the book, all created using the same hand-carved printing dies. So what was the book about? Here’s the thing: nobody knows, not even the artist. 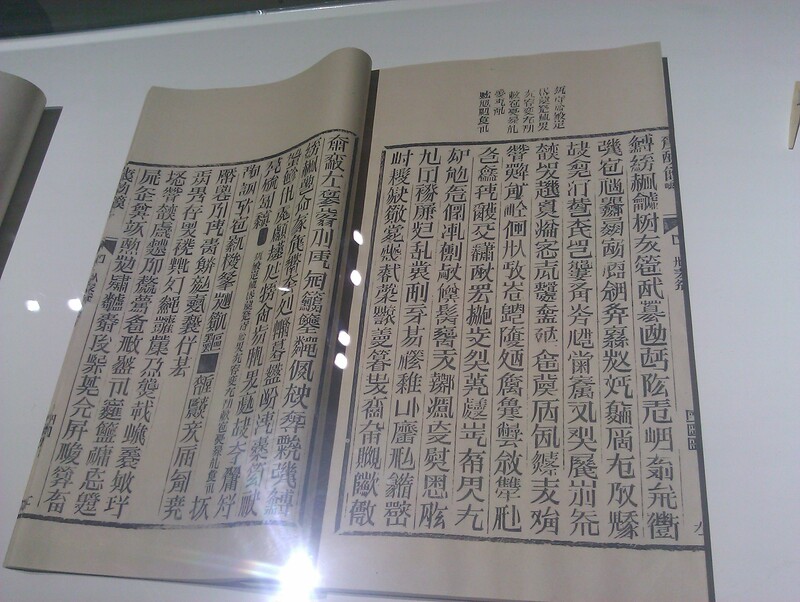 The entire book was written with a series of completely fabricated Chinese characters, over 4000 individual ones in total. This is a difficult task on its face, the invention of so many characters that look right but have no meaning. 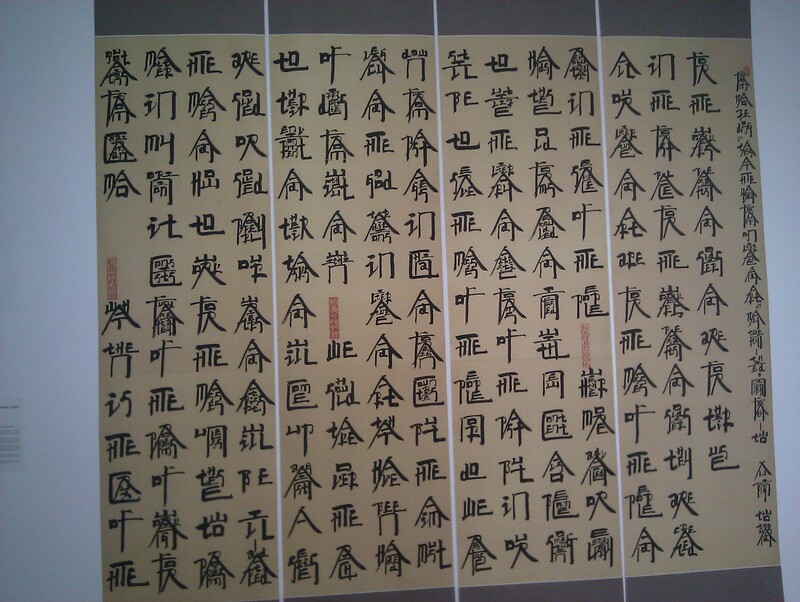 It is compounded by the fact that there are some 40-50,000 Chinese characters out there in the wild. In the two decades since this artwork’s release, experts have pored over this indecipherable book and have yet to find any actual “real” Chinese characters. 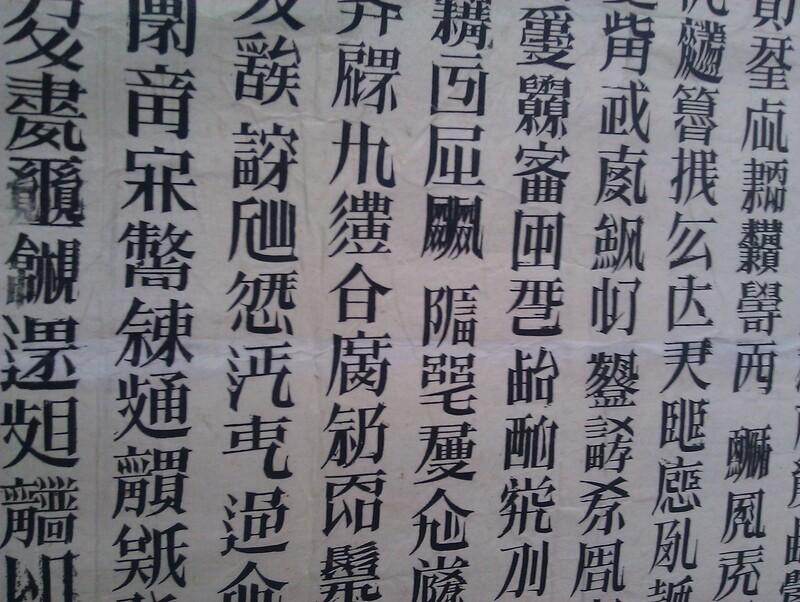 Xu Bing went on to create many other works of art that dealt with the issues of culture, communication and language, always coming back to text. The next project to bring him fame was his invention of the “New English Calligraphy,” a system for writing English words as if they were Chinese characters, in a method akin to the construction of characters using the Korean alphabet. It sounds like a gimmick at first, but the resulting texts cause a lot of confusion, with both Chinese and Western viewers assuming that it is some strange font of Chinese that they’re unable to read. 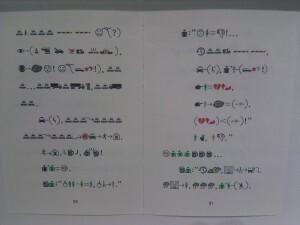 One of Xu’s newer textual projects takes a page from both of the above ones. 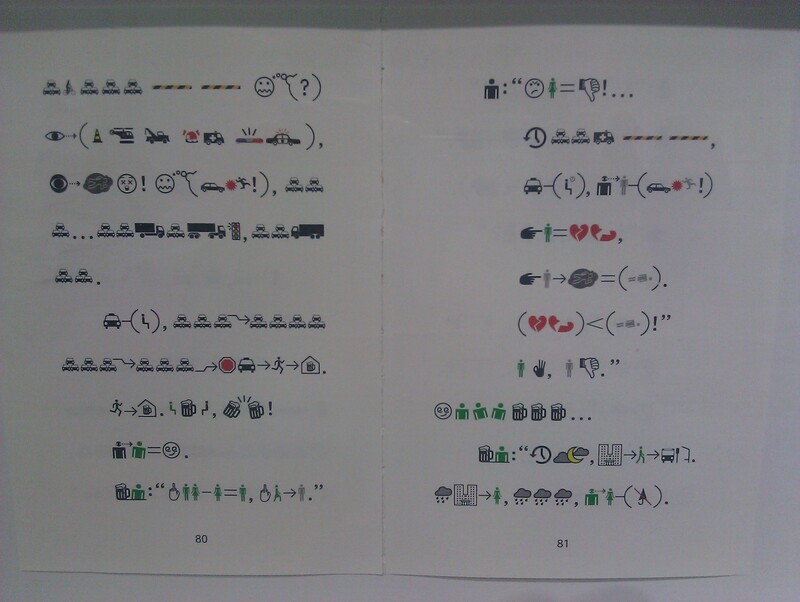 The Book from Earth series, begun in 2003, uses graphic icons from around the world in an attempt to create a language anyone can read. The icons range from company logos to the signs you see in public spaces admonishing you not to smoke or spit. The result is a book that tells the tale of a day in the life of a person without using a single “word.” Like A Book from Heaven, there are no sounds associated with these “words.” Like New English Calligraphy, it attempts to break down the barriers to cross-cultural communication. I was introduced to the artist at a pre-opening preview of the exhibition. He was very gracious, taking the time to walk me through his various artworks and the thinking behind them. One of the highlights of this exhibition is that it includes extensive examples of the artist’s creative notes as he devised these various texts, including a scrapbook of icons he collected in preparation for A Book from Earth and calligraphy pages where he tested out various shapes for letters and characters in New English Calligraphy. 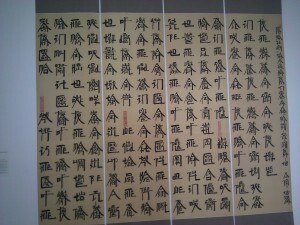 These textual practices are but a small part of Xu Bing’s rich and diverse artistic practice stretching back to 1975. He has also been the center of much controversy in recent years, notably for his Case Study in Transference, in which live pigs, covered in English and Chinese text, are encouraged to mate, and Where Does the Dust Itself Collect, a text written in dust collected from the rubble of the World Trade Center. If you would like to learn more about this artist, visit his website, where you’ll find a comprehensive collection of his projects and writings.